The World’s Most Beautiful Beaches has launched another branded website. 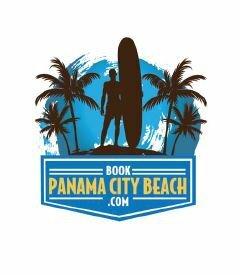 BookPanamaCityBeach.com has joined the digital world and plans to make a major splash for Florida tourism. The sun and fun destination of Panama City Beach is regarded as one of the southern United States’ hottest travel spots, recording more than six million visitors each and every year. Northern U.S. state and Canadian residents will be the main target focus via a myriad of marketing methods which will be handled entirely by CMG. Highly regarded as “the best beach this side of paradise”, Panama City Beach offers 27 miles of sugar white sandy beaches, emerald green waters along the shoreline, and boasts an average of 320 days of beautiful sunshine per year. The weather is sub-tropical, with a year-round temperature averaging 74 degrees, what many would consider perfect weather for relaxing. The city is also known as the Wreck Capital of the South due to the large number of historic wrecks for scuba divers to explore. And for all the dolphin lovers, the area boasts one of the highest concentrations of bottlenose dolphins in the world, definitely a key reason why Panama City Beach travel is so popular. If you’re looking for more information, please check out the website, where there’s plenty of information about hotels, attractions, dining and many more things to do in Panama City Beach, Florida. And please join in the discussion via Twitter and Facebook.